Brooklyn-based electroacoustic outfit W-2 have been honing their distinct sound over the past 2.5 years. Comprised of tenor saxophonist Sam Weinberg and synthesizist Chris Welcome (the Flying Luttenbachers) , W-2 is set to release their third full length record, “Fanatics” on Austin, TX based label Astral Spirits on June 16. 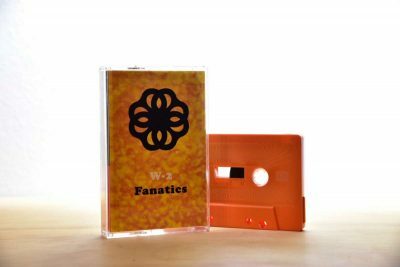 The music on “Fanatics” takes their decidedly contorted sound to its furthest extreme – ceaseless abraded timbres abound at every turn, punishing noise walls suddenly interrupted by abrasive blips, sudden digressions and an unflinching sense of urgency. Recorded at the Brooklyn arts hub JACK days after a 2 week North American tour in the spring of 2016, “Fanatics” was pristinely engineered, mixed, and mastered by trumpet wizard and frequent musical collaborator Jaimie Branch. Review by S. VICTOR AARON for SOMETHING ELSE! Review by BILL MEYER for DUSTED MAGAZINE.